Mechanical watches are regulated by a simple hair spring that has a life of its own. Just like with anything else living, the mood, temperature, position, and age of the hairspring affects the overall speed and reliability of your mechanical watch. Before the digital era back when mechanical watches were the only means for easily telling time, the discussion on watches frequently revolved around “does your watch keep good time?” Wristwatches commonly were fast, slow, or a combination of either depending upon use, temperature, and quality. Accurate timekeeping is now commonplace in the digital era, but for mechanical watches the same issues that affected accurate time keeping pre-digital era are still the same today. Like with anything mechanical, the impediments to accurate timekeeping are friction and gravity. Fortunately Rolex minimizes these issues by using precision engineering, their in-house Parachrom hairspring, and COSC certification to insure that their watches do not deviate from no more than -4 to +6 seconds/day. The deviation between -4 to +6 seconds/day varies upon activity (high activity day vs laying in bed/sitting at a desk), how well the watch is regulated, and how long it has been since the watch was regulated and/or serviced. This image taken from an old Rolex guarantee explains this simple poor man’s regulation. How the watch is positioned utilizes gravity on the amount of friction that is on the balance staff that the balance rotates upon the jewels in the shock mechanism. Although this method may not necessarily keep your watch precisely regulated, it is an easy and effective way to make small adjustments. If a wristwatch is gradually becoming slow over years of use, then the watch might not necessarily be out of regulation, but rather requires a cleaning. When to have a watch serviced and cleaned fuels much debate on whether to follow manufacturer suggestions ranging from 2 to 7 years or to wait until the watch slows down. Nevertheless, if your watch either gradually slows down, or all of a sudden slows down as a result of a drop or precipitating incident, get it serviced. If your wristwatch all of a sudden speeds up (eg. 30 seconds to multiple minutes), then most likely the balance spring became magnetized. Powerful magnets found in stereo speakers, and some laptops have found to magnetize balance springs causing the coils to stick together, effectively shortening the balance spring and speeding up the watch. Most watchmakers have demagnetizers and is a simple 10 minute repair that does not require removing the caseback. 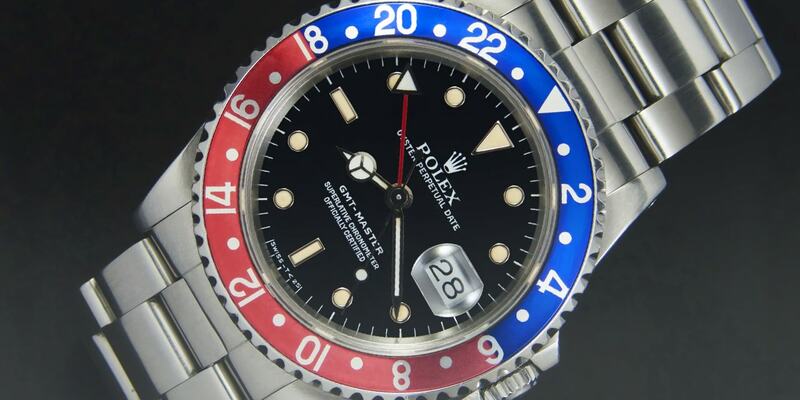 Fortunately, many watches, including Rolexes, have hairsprings that are hard to magnetize. Occasionally it happens to a Rolex, but it is a simple repair by a certified watchmaker.